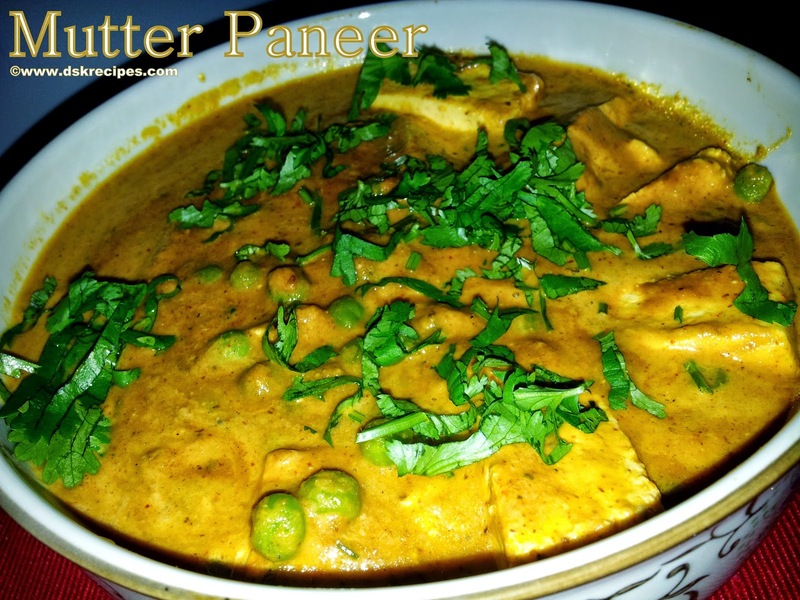 Mutter Paneer is North Indian curry made with mutter/Green peas and paneer/Indian cottage cheese. 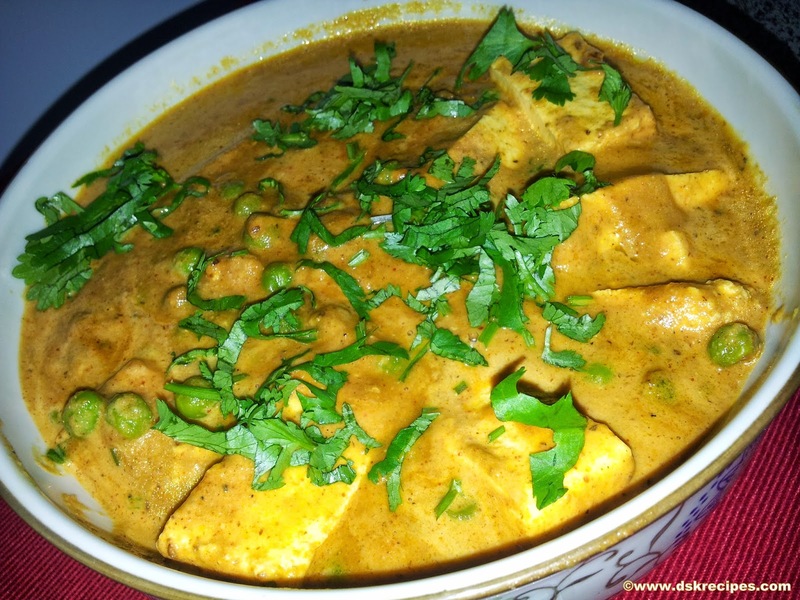 Its very popular among other paneer dishes. Very simple to make. 1. Boil tomatoes in microwave for 6 mins. Cool and puree them. 2. Heat 2 tbsp oil in pan. Add cumin seeds, corriender seeds, green cardamon, cinnamon stick, tez patta, cloves and black pepper. Saute for a minute. 3. Add chopped onion and ginger - garlic paste. Saute till onions are well done. 4. Add whole cashews and khuskhus. Cover the pan and let it cook for 5mins. 5. Cool a little and grind it into fine paste. 6. Heat the 1 tbsp oil in the same pan, add the onion paste, Add both red chilli powder, cumin powder, coriander powder, garam masala and mix well. Add tomato paste and mix well. Cover it with lid let it cook for 5 mins. 7. Add mutter and paneer to it mix well. Add water as per you need your gravy thick. 8. Add butter mix well. 9. Add heavy cream and mix. Cover and let it cook for some time on low flame. 11. Serve hot with chapati or rice or pulao.